1. Take your health into your own hands. Don’t depend on the medical system or a doctor to make decisions for you, it’s your body and your life. 2. Patience. Let the process unfold naturally. 3. Let your voice be heard. 4. Create a safe space for people. 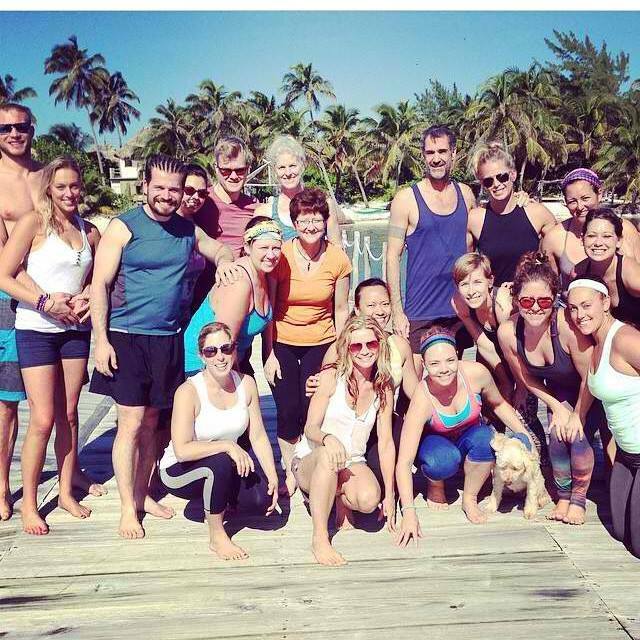 Following this training I co-led my first international yoga retreat in Belize. It’s taken me a full day to really process what happened last week and I think I will be processing for a while. A member of our group put it best in the closing circle, ‘it was the practice of yoga that brought us all together and helped us strip away our walls and barriers that we came with’ in order to become a little tribe for the week. Everyone was friendly and open and I am very om-sick for all the beautiful people I was able to bond with for seven days in paradise. My mom and aunt attended the retreat and for someone who doesn’t get to spend a lot of time with her family (they live in Kansas) it was indescribable how important this time was to me. 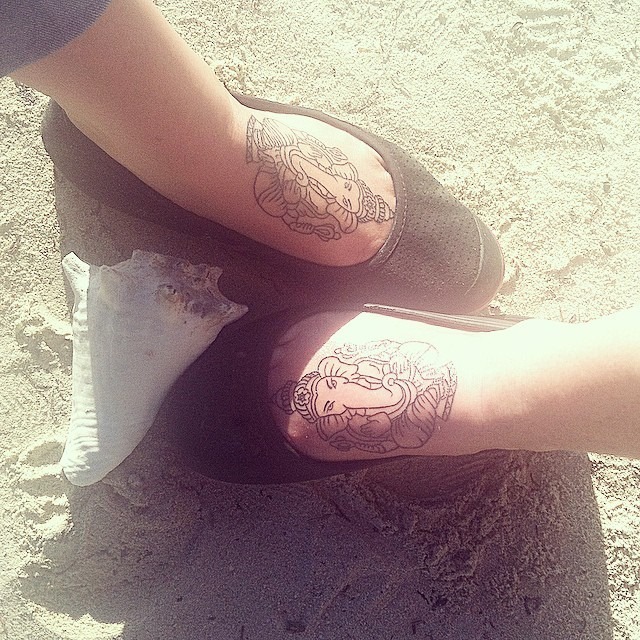 My mother and I did what was probably the most spontaneous thing either of us have ever done and got matching Ganesh tattoos on our feet the last day of the trip. This to me is an important memory that will last forever (literally) and symbolizes my families unwavering support and a bond that defies time and distance. To everyone that came, and to Blair who partnered with me, thanks for a week that I will never forget. Thanks Cassi for sharing about your fabulous week with your Mom and the group. Good to hear from you uncle Dave! Love! if you click on the email GMA there are a couple of pictures. But I will send more 🙂 love you! So wonderful! 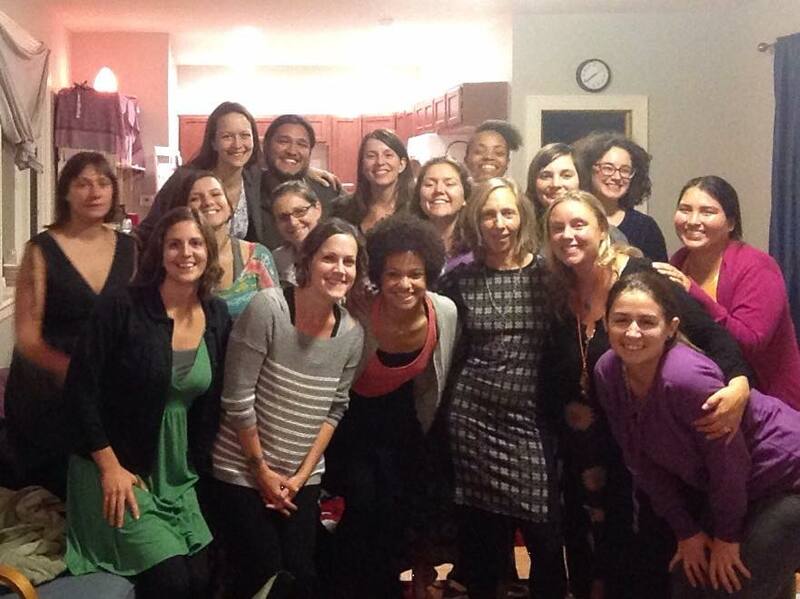 I wish you could be my doula. I think you are amazing and it makes me so happy to see all of the incredible things you are doing! Thanks Lisa! Good to hear from you. I want to come visit your awesome new studio someday. Much love! !